With the aim of raising awareness around the importance of the ocean, National Marine Week will be celebrated in Nelson Mandela Bay from October 18-21. National Marine Week is celebrated annually during the second week of October, and this year’s national theme is “#OCEAN 70/20 One Ocean, One Planet”. 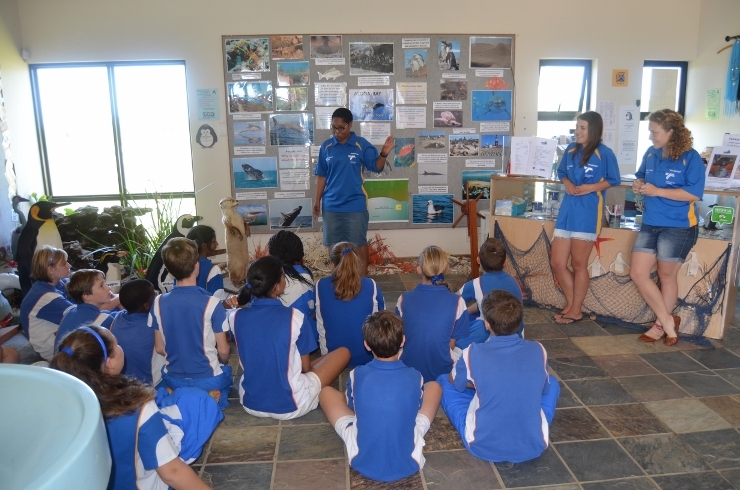 The bulk of local Marine Week activities will take place at SAMREC where school groups will get the opportunity to explore various exhibits, displays and partake in activities to learn more about rocky shores, the importance of estuaries, pollution and its effects on the environment, dolphins, penguins and Algoa Bay. Activities each day between the 18th and 21st are fully booked with organised school groups, which says co-ordinator Karen Binning is central to getting the message across that "we who live in Nelson Mandela Bay are heavily influenced by and in turn influence Algoa Bay." "It is important that young people especially learn more about Algoa Bay, the animals that call it home and how we affect the Bay," she said. "The objective of the campaign is to create awareness of the oceans and coastal environment in order to promote sustainable use and conservation for the benefit of present and future generations. All South Africans (coastal and inland) are responsible for the well-being of the ocean and coastal environment." The theme for Marine Week in NMB this year is “Finding Dory”. By following the fish – learners will see how fish play an important role in the food chain and how habitats are connected, Binning said. Among the organisations taking part in the Marine Week activities are Algoa Bay Hope Spot, Raggy Charters Bayworld, Nelson Mandela Metro Environmental Unit, Noordhoek Ski Boat Club, Noziqhamo Arts and Crafts, SAMREC and Zwartkops Conservancy. The bulk of local Marine Week activities will take place at SANNCOB where school groups will get the opportunity to explore various exhibits, displays and partake in activities to learn more about rocky shores, the importance of estuaries, pollution and its effects on the environment, dolphins, penguins and Algoa Bay. Activities each day between the 18th and 21st are fully booked with organised school groups, which says co-ordinator Karen Binning is central to getting the message across that "we who live in Nelson Mandela Bay are heavily influenced by and in turn influence Algoa Bay." Among the organisations taking part in the Marine Week activities are Algoa Bay Hope Spot, Raggy Charters Bayworld, Nelson Mandela Metro Environmental Unit, Noordhoek Ski Boat Club, Noziqhamo Arts and Crafts, SANCCOB and Zwartkops Conservancy.